the question about Floridas use of the electric chair. the Supreme Court of Florida October 27th 1999.
accepted to kill Terry Sims - a possible innocent man. and join us in the fight to save Terry Sims life. Mr. Sims was convicted of first-degree murder and sentenced to death. Sims v. State, 444 So.2d 922 (Fla. 1983), cert. denied 467 U.S. 1246 (1984). He sought and was denied post-conviction relief pursuant to rule 3.850, Florida Rules of Criminal Procedure. Sims v. State, 602 So.2d 1253 (Fla. 1992), cert. denied 506 U.S. 1065 (1993). Two Justices dissented from that denial of relief. Id. 602 So.2d at 1258-59 (Kogan, J. dissenting, joined by Barkett, J.). Mr. Sims then promptly sought habeas corpus relief from this Court, which was denied. Sims v. Singletary, 622 So.2d 980 (Fla. 1993). 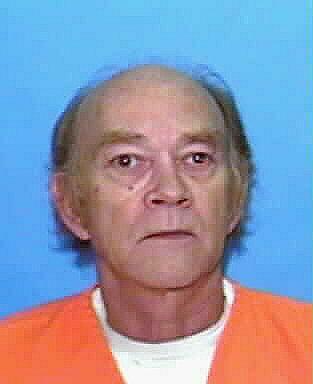 Terry Sims death penalty was reinstated in 1998. 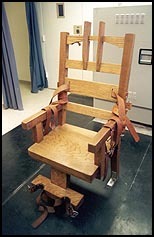 He has now been moved over to Florida State Prison, where the chair is. Why does Florida prevent him from receiving needed public files? Who has anything to hide? Counsel for Mr. Sims believe he is innocent of the murder for which he received his death sentence. The purpose of the public records requests was to uncover previously undisclosed evidence of other suspects known to law enforcement officers, to discover how and why the police focus was directed toward Mr. Sims instead of other suspects, and in general, to discover evidence in support of innocence. Other avenues of investigation are being vigorously pursued. Undersigned counsel cannot reveal to opposing counsel confidential information regarding the status of this investigation, however. If the Court’s decision-making would benefit from counsel’s explanation of the status of the investigation and why Mr. Sims’s motion cannot be filed on October 12, 1999, counsel is willing to provide such an explanation ex parte and in camera. This Court’s rules establish the procedure for seeking and providing publicrecords after a death warrant is signed. A death warrant was signed scheduling Terry Sims for execution, and he followed the rules for seeking records. The persons he asked to respond to public records requests refused to follow the rules for responding. Counsel for Mr. Sims, following the rules, asked the lower court to compel these persons to follow the rules. The lower court disagreed with this Court’s rules, and so denied the request. Mr. Sims’s rights to public records and to discovery in his pursuit of post-conviction relief were denied by the lower court. Although Mr. Sims did everything Florida law required of him, and made a good faith effort to apprise the lower court of the status of his investigation and the reasons he could not file a complete rule 3.850 motion within the time limits set by the court, his motion to compel and motion to modify the scheduling order were summarily denied. These actions violated Mr. Sims’s right of access to public records, access to the courts, to the full and fair exercise of the right to petition for habeas corpus relief, to equal protection of the laws, and to due process of law. Rule 3.852 was simply ignored. (public records produced under warrant gave rise to claim of newly discovered evidence meriting stay of execution and evidentiary hearing on successive post-conviction challenge); Buenoano v. State, 708 So.2d 941, 952 (Fla. 1998)(evidence produced pursuant to successive public records request or request initiated following discovery previously unknown information may constitute newly discovered evidence within meaning of rule 3.850). Jacksonville Police Department (assisted in investigating and arresting B.B. Florida Department of Law Enforcement and its central Florida regional lab. The actions of the lower court and state agencies have placed Mr. Sims in anextremely dangerous position. His execution is scheduled to take place in eight days. For the reasons stated herein, this Court should reverse the judgment of the trial court, issue a stay of execution, and remand with instructions to hold a hearing on Mr. Sims’s motion to compel and allow Mr. Sims to file a rule 3.850 motion after he has had an opportunity to review all records to which he is entitled. due process is of no importance?